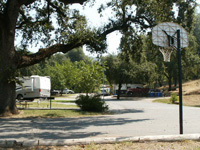 Camping in Northern California at our Redding RV Park near Shasta Lake! The beauty of the Northern California mountains and Shasta Lake is just a part of what makes Fawndale Oaks RV Park so very special. Join us at our family-friendly RV park for fabulous camping activities like boating, fishing, hiking, biking, exploring, caving, and much more. From the Sundial Bridge and Turtle Bay Exploration Park to Lassen Volcanic National Park and Whiskeytown National Recreation Area, you'll find plenty of great attractions in our area. 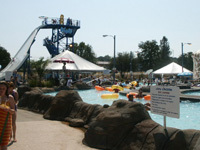 Fawndale Oaks RV Park is a Full Service RV park and campground located just 10 miles north of the city of Redding, California on Interstate 5, home of the famous Sundial Bridge. Plan your visit today with our easy-to-use online reservations system. 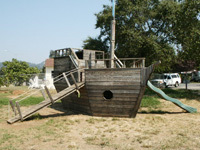 We are just a mile and a half from beautiful Shasta Lake, and centrally located near Whiskeytown Lake, Mt. Shasta, Lassen Volcanic National Park, Castle Crags, and McArthur-Burney Falls. We offer many amenities such as full hook-ups for RVs, a 28' Onsite Rental Trailer, a rustic rental cabin, and tent campsites. The park also has a convenience store, swimming pool, rec room, group facilities including a meeting room and full kitchen. Stay with us at our Northern California RV park and enjoy fun days at Big League Dreams Sports Park and Water Works Park or go golfing on one of our nearby courses. You can explore the Lake Shasta Caverns, visit the Turtle Bay Exploration Park and Sundial Bridge or enjoy a picnic lunch on the shores of Lake Shasta, soaking in the view of magnificient Mt. Shasta in the background. Another beautiful picnic spot is at Shasta Dam itself, in the park at the Visitor's Center. Then take a free tour of Shasta Dam and it's working facilities. A short video of the construction concludes the tour. With all there is to do and see, we know you're going to love camping with us. Enjoy full hook-ups, the pool, tent sites, cabin rentals, convenience store, clubhouse, rec room, and more! at our Northern California RV park and enjoy fun days at Big League Dreams Sports Park and Water Works Park or go golfing on one of our nearby courses. You can explore the Lake Shasta Caverns, visit the Turtle Bay Exploration Parkand Sundial Bridge or enjoy a picnic lunch on the shores of Lake Shasta, soaking in the view of magnificient Mt. Shasta in the background. Another beautiful picnic spot is at Shasta Dam itself, in the park at the Visitor's Center.